Remote Access Attacks | How To Secure Your PC From Malware? Managing your own computer from afar or troubleshooting a friend's PC without being in front of it is much easier when you have a good remote desktop utility. But that utility is vulnerable to remote access attacks. For example, hackers use this to gain access to merchant systems in order to install malware. Other attacks which hackers can facilitate through remote access include email phishing, third-party vendor compromise, insider threats, social engineering, and the use of vulnerable applications to compromise systems. Hackers use Common remote access tools to penetrate third-party access to merchant information without physically being on the location. Although these same tools also allow employees to access work systems from remote locations - a common practice in today's mobile world. But employees are not aware of the possible remote access attacks that may happen. If not properly secured, companies including merchants, vendors, service providers, and others might face remote access attacks. They may be put into a severe security disadvantage by allowing attackers the opportunity to remotely gain access to their system. Scanning the Internet for vulnerable IP addresses. Simulating a remote access session with cracked username and password information. Once inside the system, the attacker may upload malware, copy all sensitive data, and use the compromised system to attack other computers or network within the same environment. 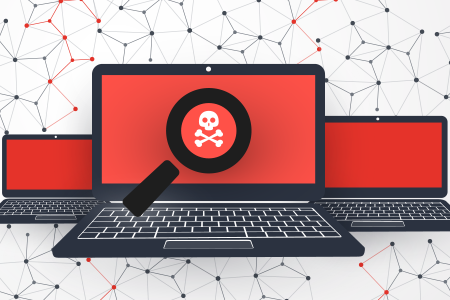 The malware will continue to steal data even after the attacker logs out and may go undetected for a long period of time. The best way to prevent remote access attacks is to discontinue remote access. But that is not always a realistic option. Alternatively, by taking simple steps and encouraging a multi-layered approach to security, businesses can secure their organization against a potentially devastating breach. By identifying sensitive systems and isolating them on their own network zone, businesses can control what type of access is allowed into these zones and restrict remote access attacks to only allow two-factor authentication. To make it more difficult for hackers to guess your username, don't use the username for the other non-sensitive systems or in any public forums. Instead of using common terms, use out of this world names or combination of characters, symbols, and numbers that don't fit the standard username will help prevent remote access attacks. Guest and default accounts allow anonymous computer and system access. Disabling the guest accounts on each computer protects against unauthorized users. Disabling or changing default account makes it difficult for attackers to launch remote access attacks. Many systems and applications come installed with default or guest accounts and passwords that should be changed to make it more difficult for attackers to enter systems. A good Anti-virus, like the Comodo Antivirus, is updated on a regular basis to detect against known malware. Maintaining an up-to-date antimalware program that scans systems on a regular basis will prevent known remote access attacks. Set your computer to lockout a user after six failed login attempts. Requiring an administrator to manually unlock accounts will prevent attackers from guessing a few passwords and coming back later to try again. In this way, it will difficult for bad guys to launch remote access attacks to your system. Using two-factor authentication can help prevent major remote access attacks on your system. Vulnerability scans are automated tests that passively test systems and networks to identify known weaknesses. These scans generate reports that provide specific data about weaknesses specific to the entities systems and networks. These reports allow entities to find and fix vulnerabilities in a timely manner. Remote access attacks are simple to conduct, but it is also simple to protect yourself against these attacks. Attackers will continue to use vulnerable remote access applications to their advantage. It is our responsibility to protect our system from these breaches. Utilize the power of Comodo Internet Security to protect your organization's assets. Get your free copy now!